Obras sewing machine is one of the main sewing machines used to sew the edges of the fabric so that the yarn end fibers become more tidy. Obras usually have 3-6 yarns and 2 pieces of cloth cutter that work like scissors. Do you want to buy Obras Sewing Machine? APAKAH ANDA SUPPLIER Obras Sewing Machine? Semi Industrial Machines available Obras Butterfly GN1-1.Can be used for a variety of textile materials.Sewing speed 2,500 Stitches/min.Contact us for reservations and more information.Thank you. Are you looking for a sewing machine obras for your company at the best price? Now you do not need to be confused looking again, in Indotrading there are many sellers who provide a wide selection of sizes and qualities. Get the best sewing machine prices from the best sellers. 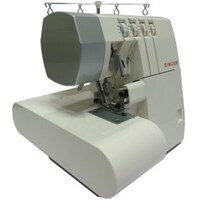 There is a wide selection of sewing machine obras that you can buy in Indotrading. Determine the criteria, specifications and product shapes you need, fill in the Indotrading purchase request form, then you will receive the best price offer directly from the seller registered in Indotrading. Indotrading is the information center of producers, distributors, suppliers to importers in Indonesia. There are hundreds of thousands of trusted sellers who are ready to partner with you. 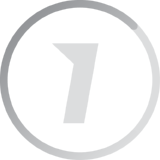 Find the best and trusted obras sewing machine provider listed in Indotrading. Your company needs a large number of sewing machines? Take advantage of online tender features through Indotrading purchase requests, your procurement process will be much easier and more efficient. Is your Company engaged in selling Obras Sewing Machine to Indonesia. Please Register your company here.